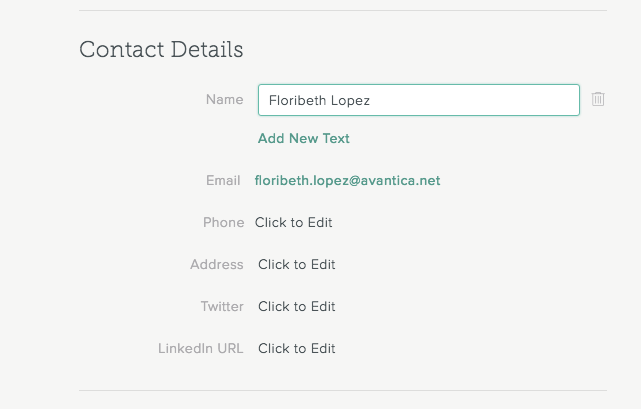 You can edit a Contact’s information from the Contact Profile page or from the Contact Gallery. You can also upload or change your own Contact profile photo and report incorrect Contact data. In the search field in the upper-right corner of any SalesforceIQ screen, enter the Contact name. Click the Contact name in the search results. 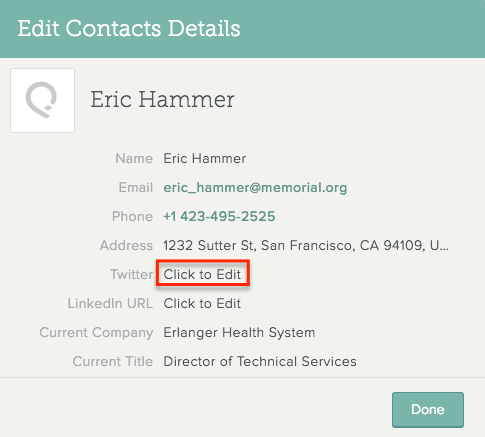 On the Contact Profile screen, under Contact Details, click Edit. 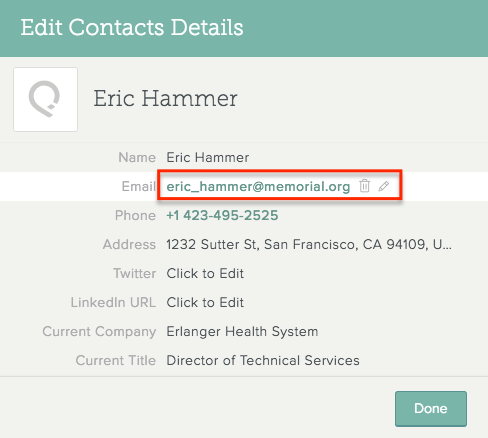 Add, edit, or remove Contact information, including the name, email address, or other details, or designate the primary contact email or phone number. You can also add a link to a LinkedIn profile. The information you enter auto-saves. 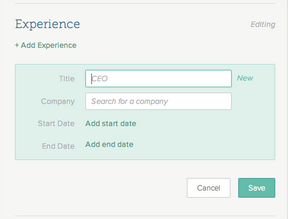 You can also click Edit under Experience to add or edit work experience, current company, and title. After editing the experience information, click Save. To the right of the Contact name, click , or click and select Edit. To enter new information in a blank field—Click Click to Edit and enter the information. To edit existing information for all fields except email or phone—Click the existing entry and enter the new information. 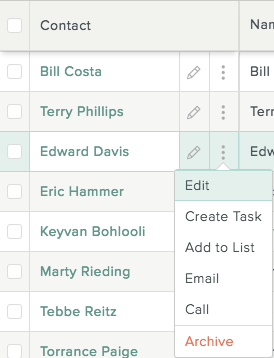 To edit email or phone information—Hover over the existing entry, click , and enter the new information. 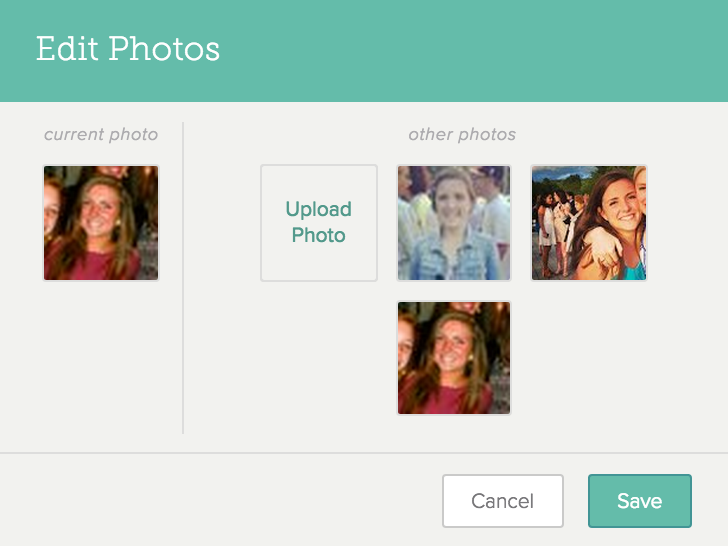 You can pick a new profile photo, or upload a photo to use as your profile photo. If you upload a photo, this becomes your default image anywhere your Contact profile appears in SalesforceIQ. Other users can't override this default image. Click Your Information to display any photos connected to your Account. Your current profile photo is displayed on the left. To change your profile photo, select it from the photos on the right. To upload a new photo to use as your profile photo, click Upload Photo and browse to the photo you want. 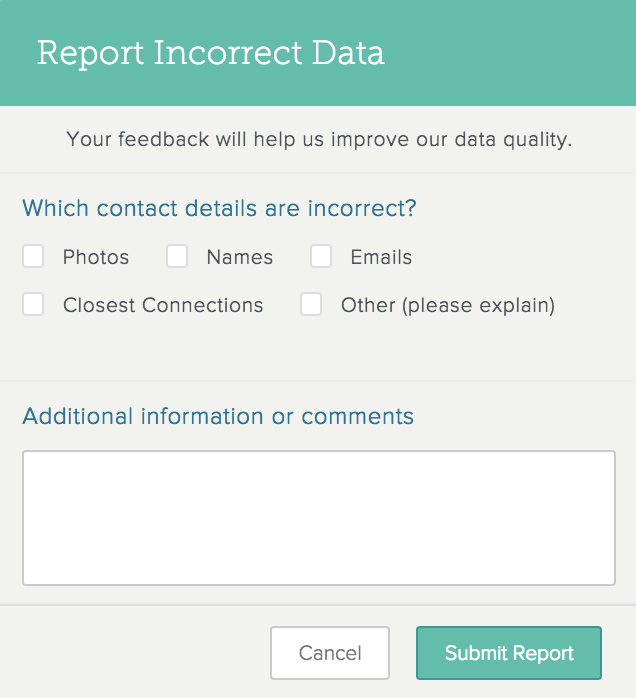 If you notice incorrect data on a Contact's profile page, you can report that information to SalesforceIQ. Your feedback will help us to improve the quality of our contact data over time. Note: After you report incorrect Contact data, you can edit the information using the procedure above. On the Contact profile page, click in the upper-right corner. Fill out the report form.